Congratulations to Shauna + Daniels on their wedding . She looks sensual and glamorous in Helen Constance’s Laeticia Gown. Her gown is loving created in ivory coloured mikado with a hand finished underlay. 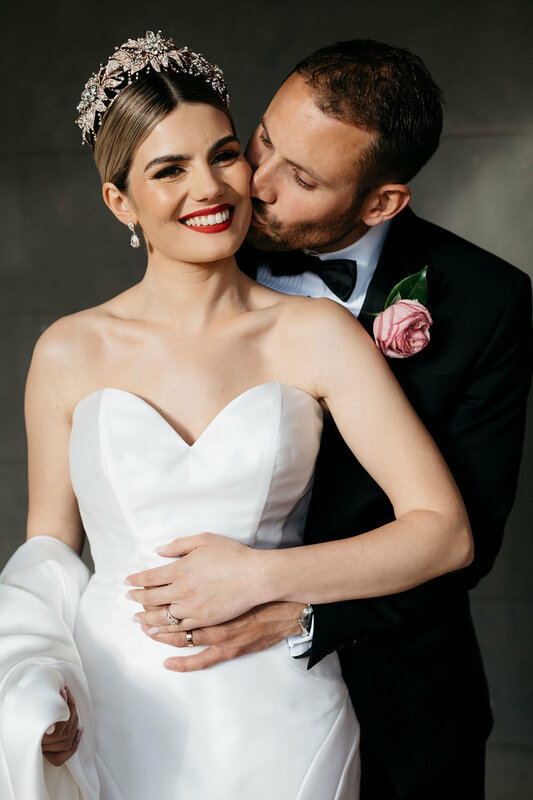 She bought her Helen Constance #mycouturestyle wedding gown at Raffaele Ciuca, Brunswick Victoria. 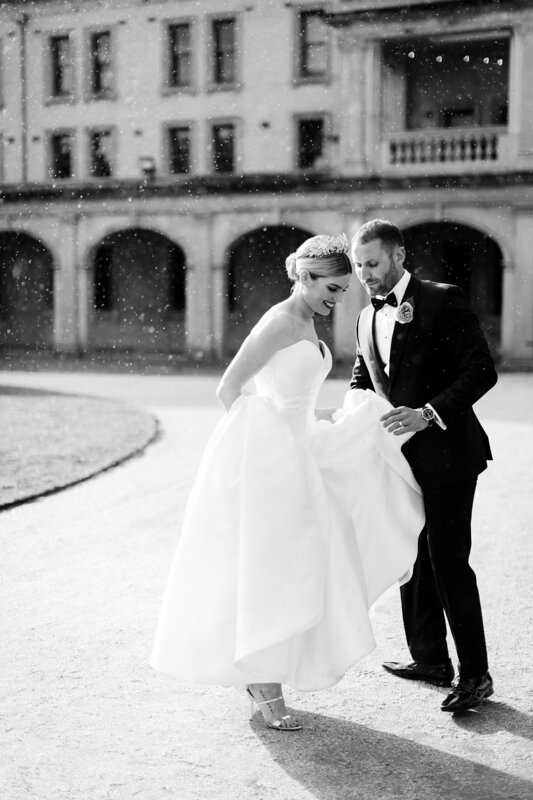 Her wedding took place in The Refectory Werribee Mansion in Melbourne. We wish her and Daniel a lifetime of love and happiness.